If you’re craving an all-over treatment to make your skin glow ready for your holiday or on a drab winter day, few things beat the original hammam bathing experience. As a popular Middle Eastern institution hammams or communal bathhouses were visited as much for hygiene as for socializing and relaxation – before bathing shifted from a public act to a private practice at home. The traditional Moroccan steam room, was an integral part of the culture and community and the geographic range stretched from Europe (starting with the Roman baths) to North Africa and the eastern Mediterranean. With modern plumbing, the popularity of communal bathing fell from favour and many cities which may have had hundreds of hammams now have none. But those interested in water therapies and wellbeing have kept the interest in hammam bathing alive and the techniques used have established themselves as the sought out spa treatment that it is today. What’s involved? The hammam was the place you visited for a complete body ritual, covering all the steps necessary to cleanse and exfoliate the skin. Traditionally, the bathing regime starts with a hot steam room, followed by a thorough exfoliation (via mitt, sponge or a ceramic scraper) and finally, anointing the body in oils and re-hydrating with a cup of fragrant mint tea. Sounds like the ultimate ritual to make you content, right? 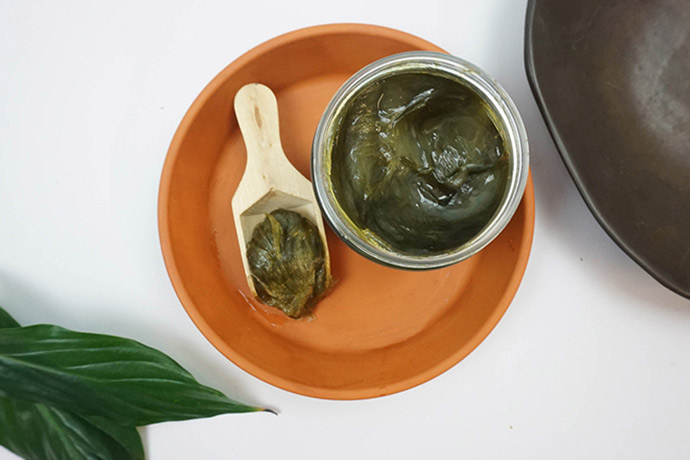 The key ingredient used for prepping skin for exfoliation is the Moroccan Beldi soap, a soft, black, gel-like soap traditionally made with pure olive oil and eucalyptus essential oils. The soap can be found in souk spice shops or apothecaries. But Kahina Giving Beauty has sourced it directly from Morocco to share with us natural beauty lovers in the form of the Kahina Moroccan Beldi Soap. So while we can’t offer you a plane ticket to Morocco, we can certainly share our natural beauty tips for you to recreate the original Moroccan hammam experience at home. So, set some time aside and relax! • Step 1: Shower and steam away! Before entering the shower run it very hot to allow steam to rise and fill the shower. Then lower the temperature a little to a heat you can tolerate and steam yourself for 5 to 10 minutes so your skin is warm and softened allowing your pores to open. • Step 2: Turn the water off and cover your body with Kahina Moroccan Beldi Soap in small circular movements, working it into a slight lather and allow it to penetrate skin for 3 to 10 minutes, making the most of the soap’s aroma-therapeutic properties. You can multi-task by applying a hair mask and/or a face mask while you wait for this all natural soap to penetrate. • Step 3: Finally, arm yourself with an exfoliating mitt and scrub heavily in a circular motion. You may see dead skin rolling off. • Step 4: Rinse well, massaging all the soap and dead skin cells off your body. • Step 5: After drying, hydrate your body with a luxurious organic body oil. • Step 6: Finally, continue that feeling of relaxation and sip on a hot glass of mint tea to hydrate. 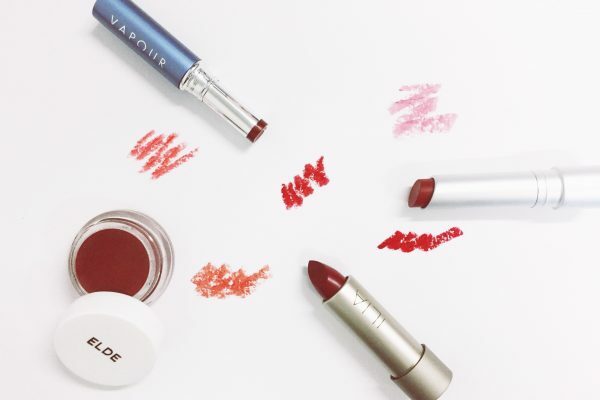 When it comes to organic makeup, finding that staple red natural lipstick is non-negotiable. After all, it’s the beauty equivalent of the little black dress….